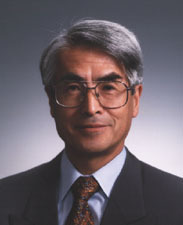 10th International Workshop on Innovative Architecture for Future Generation High-Performance Processors and Systems (IWIA2007) (Jan. 2007). 情報処理学会論文誌：プログラミング, Vol.47, No.SIG 16 (PRO 31)， pp.44-51， 2006年10月. 情報処理学会論文誌：プログラミング, Vol. 46, No. SIG 14 (PRO 27), pp. 12-29, 2005. Proc. Innovative Architecture for Future Generation High-Performance Processors and Systems, IWIA 2005, January 2005. 電子情報通信学会論文誌D-I, Vol. J85-D-I, No.1, pp. 31-39, 2002年1月. Electronics and Communications in Japan, Part 3, Vol.89, No.12, 2006. Parallel Computing, vol.26, pp.1325-1343, 2000. Parallel Computing, vol.25, no.13-14, pp.1635-1661, 1999. Proc. 1998 International Conference on Parallel and Distributed Systems, ICPADS'98, Tainan, Taiwan, pp.658-667, December, 1998. IEICE Transactions on Information and Systems, Vol.E81-D, No.11, pp.1195-1204, Nov. 1998. Proc. Third International Workshop on High-Level Parallel Programming Models and Supportive Environments, Orlando, Florida, pp.82-91, March 30, 1998. Software-Practice and Experience, Vol.25(3), pp.229-250, March 1995. Proc. Hawaii International Conference on System Sciences 27, IEEE/ACM, pp.368-377, Jan. 1994. Proc. Int'l Conf. on Supercomputing'93, pp.298-307, July 1993. Advances in Software Science and Technology, Vol.5, pp.1-9, Dec. 1993. Journal of Information Processing, Vol.14, No.3, pp.325-334, 1991. IEEE Transactions on Software Engineering, Vol.17, No.1, pp.1-9, Jan. 1991.